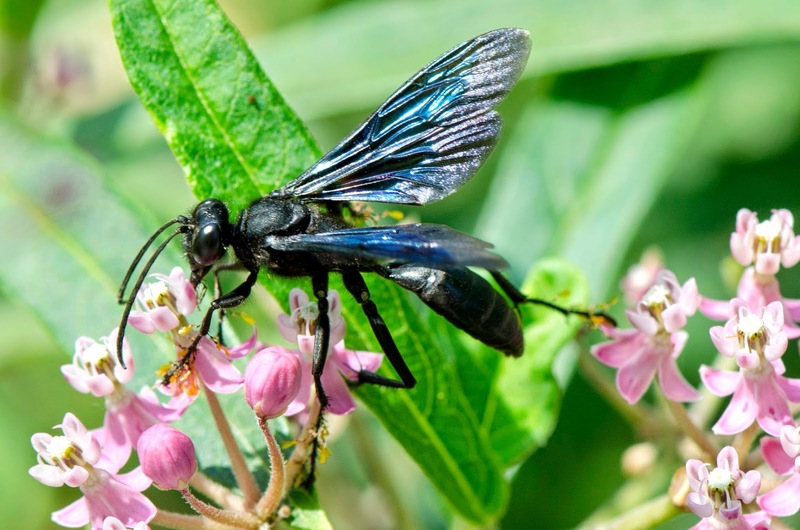 The great black wasp, Sphex pensylvanicus. 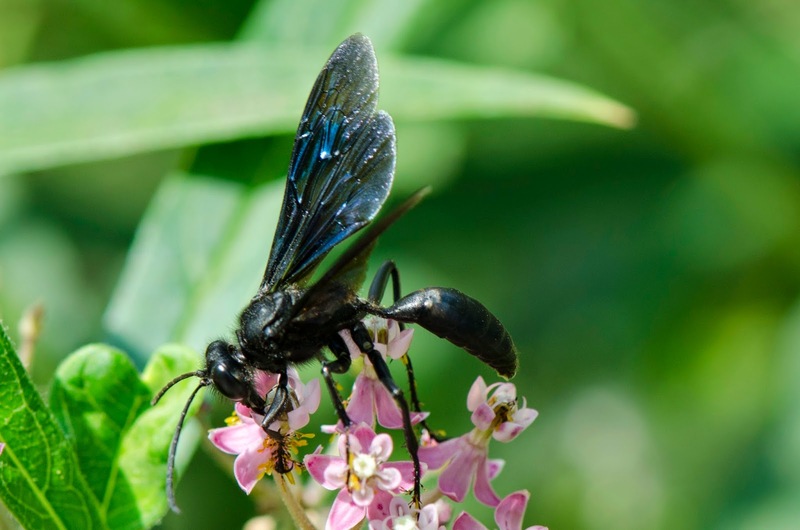 The great black wasp is my absolutely favorite wasp -- for two reasons. First, it is beautiful: jet-black with blue and purple reflections in its wings. Second, it is thrilling to see one because they are so big. I always have a moment before I recognize it, when my subconscious tells me to run away. I know they are not aggressive but it takes a few seconds to overcome my instinct. They are called great because they are so big -- up to almost an inch and a half long. I see them in my Brooklyn neighborhood from July through October. I've written about them before (click here to read an earlier blog) but I saw the one in the photos today and was reminded how much I like them and how pleased I am to see them every summer.